Josh Gordon has been traded from the Cleveland Browns to the New England Patriots. The Patriots announced on Monday that they have acquired the services of the wide receiver, although terms of the deal were not disclosed. The Browns released a statement on Saturday confirming they would be cutting Gordon after he did not report to the team's facility on time. After reportedly fielding calls from eight to 10 teams interested in making a deal for the controversial wideout, the Browns were said to be looking to send him to the NFC if a suitable trade partner could be found. 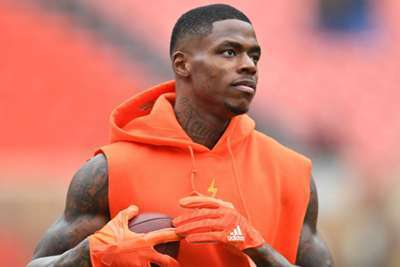 Instead he remains in the AFC after New England released recently signed receiver Corey Coleman, who used to play for Cleveland, to make room on the roster, while it has been reported the Browns will receive a fifth-round draft pick. The 27-year-old missed much of the offseason as he took time away from the team to deal with personal matters, but announced his return in mid-August. He has been suspended multiple times for violating the NFL's substance abuse policy, missing the entire 2015 and 2016 seasons before returning last year. He logged a lone catch for 17 yards and a score in Week 1 against the Pittsburgh Steelers before sitting out Sunday's loss to the New Orleans Saints with a hamstring injury.